One of the first questions that visitors to our city often have is, “How much is parking in downtown Gatlinburg?” We have seven lots within the downtown footprint, and for most of the them, the rates range from $5 to $8. Only at the Bear Skin lot does the rate top out at $10. And keep in mind that these are daily rates. So if you arrive in the morning, you can leave your car or truck in a safe, easy-to-find location for the entire day for that one low price. Compare that to places where you might pay dollars per hour for 10 hours or more. Our way leaves a lot of money in your wallet for the fun stuff, like visiting the national park, riding rides, shopping and enjoying some of your favorite vacation foods. Prices do vary according to the season, and our rates are a little higher during special events, when the demand for parking spikes. But with some planning, you shouldn&apos;t have trouble finding one of our more than 1,100 parking spaces in downtown Gatlinburg. And if you&apos;ve ever been to our community in the summertime, you already know how important parking is. Ours is a small town, and real estate for parking is limited. 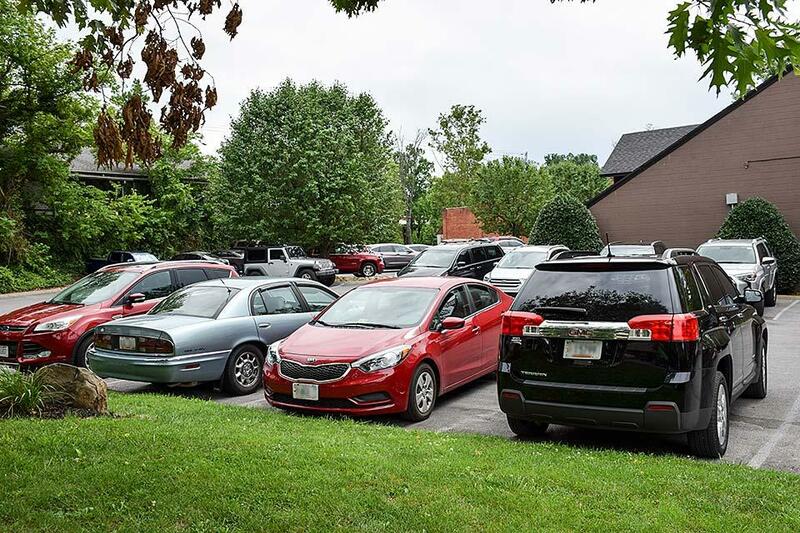 Most parking is designated for accommodations, some attractions and restaurants, so unless you&apos;re staying at a particular hotel or dining at a particular eatery, your options can be limited. Our parking solutions also address the convenience problem. Why drive your vehicle from destination to destination and pay multiple times when you can make one parking decision and one parking purchase with us and then not worry about it for the rest of the day? Thanks to the easy walkability of downtown Gatlinburg and a trolley system that can take you almost anywhere in the Smokies, navigating the area by car is one of the last things you&apos;ll need to concern yourself with next time you&apos;re in town.